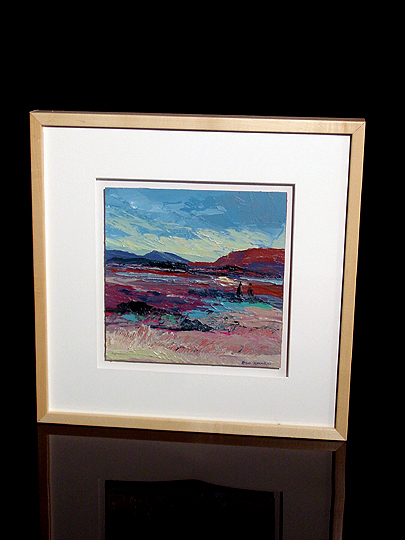 As with On The Road To Taos, this work was inspired by Bob Rankin's 2000 trip to the American Southwest. I really like the combination of the blue sky with the earthtones of the surrounding landscape. Bob featured this work on the cover of the invitation for his 2000 Holiday Houdio, so I am doubly glad to have it in my collection.